Happy New Year! I have missed you all so much. I have had my hands full getting our house ready to put on the market, celebrating my son's birthday and the holidays, and enjoying time with family. The house preparation has been exhausting. The celebrating has been fun, but I really miss my sewing machine and sharing with you. 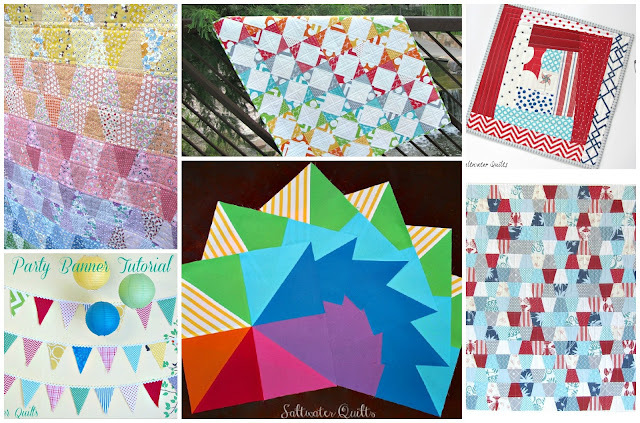 2012 has been a great year and the first year for Saltwater Quilts. My first post was in April and I have enjoyed each and every post since. I put together a little summary of the different projects that I worked on this past year. 1. Rainbow 30's Reproduction Tumbler Quilt 2. Rainbow Steps and Stairs 3. "Sew as You Go"
2013 is going to be a great year full of many new projects. My list is long and waiting for me to start sewing. 5. Party Banner Tutorial 6. Ring Bearer Vest 7. I Spy Quilt 8. "Sew as You Go"
I had to throw in a collage of mug rugs, because I definitely made my fair share of them this year. The Reunion quilt that I had so much fun making. Reversible table runner. I plan on making more of these for different occasions. The Rose quilt is one of my favorite projects I worked on this year. It ended up being a wedding gift for my sister and her husband. I have several new posts coming soon for you. Thank you for hanging in there with me during this time of change. Once the move is over, the blog will be back to business as usual. For regular updates, you can follow me on twitter at http://twitter.com/SaltwaterQuilts. 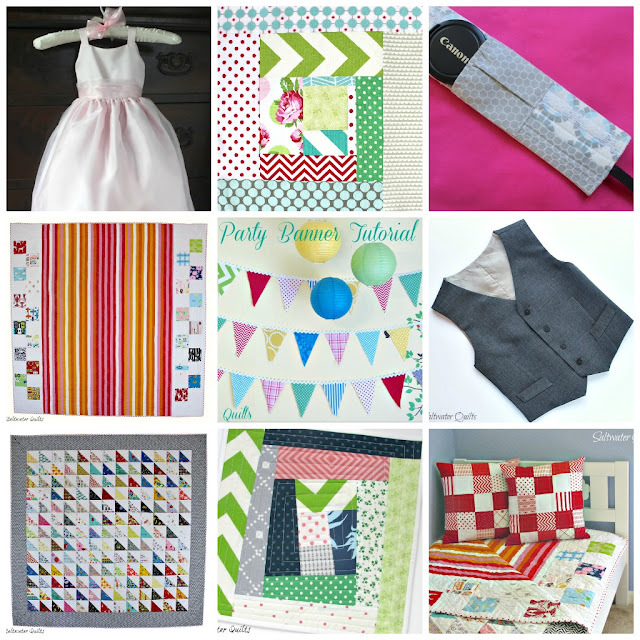 I hope that you all have a wonderful 2013 and many great sewing projects to come. So happy every thing is going good for you and family. I have missed reading your blog post, but know how it is to make a big move. Looking forward to more news. Have a great 2013! I hope you don't take too much of a break from blogging because you are such an inspiration. I hope you'll be ok with the move. I'm sure it will all work out. Oklahoma is a nice place. Happy new year and good luck with your new house! I'm so happy your popped in! You had a fabulous year! Happy New Year and see you soon! What a great year of projects! 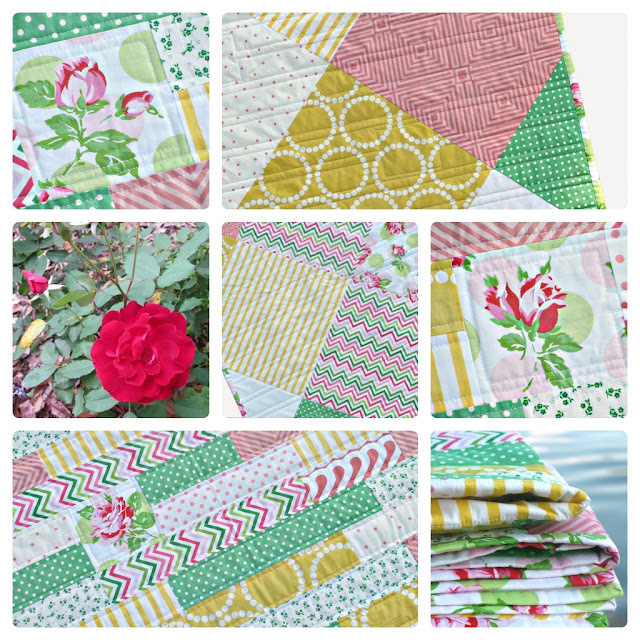 Love the Rose Quilt! I hope y'all love your new location and that things get settled in quickly and smoothly. You were busy! I love your rainbow of projects.